Extra performances have been added to the run of Jordan Seavey’s Homos, Or Everyone In America at the Finborough Theatre. 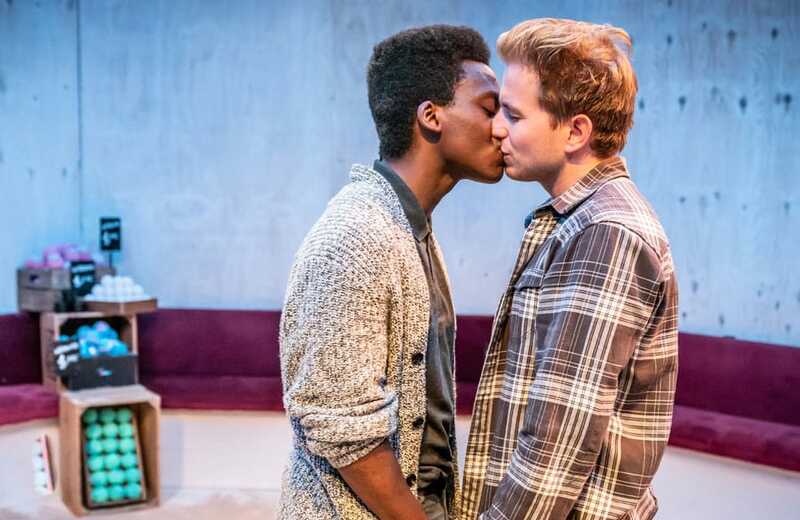 Following critical acclaim and with the current run almost sold out, the European première of Jordan Seavey’s Homos, or Everyone in America at the Finborough Theatre adds 3 extra Wednesday matinees due to public demand – 15, 22 and 29 August at 3pm. Josh Seymour directs Tyrone Huntley (The Academic), Harry McEntire (The Writer), Dan Krikler (Dan) and Cash Holland (Laila). The production completes its run on 1 September. Award-winning director Josh Seymour returns to the Finborough Theatre following the sell-out cult hit Adding Machine: A Musical to direct the European première of Homos, or Everyone in America, a Critics’ Pick in the New York Times for its Off-Broadway premiere, named one of New York Magazine’s 10 Best Theatre Events of 2016 and The Advocate’s Top 10 New York Theater of 2016. Homos, Or Everyone In America has set and costume design by Lee Newby; lighting design by Jess Bernberg; sound design and composition by Lex Kosanke, movement by Chi-San Howard and casting by Seth Mason.